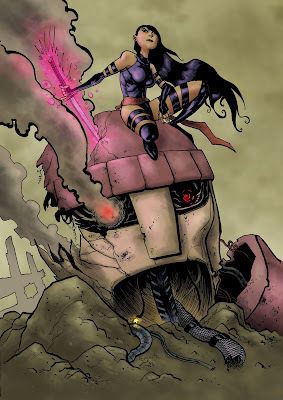 The wonderful Ben Templesmith was nice enough to post Hi-res copy of his Psylocke line work so colorist might give it a try. I didn't try to mimic his style but instead gave it a more classic comic look. I think it turned out great. Take a look at the original at Ben's page!